This scan of the negative above, from the Sommer Archive at the Center for Creative Photography, Tucson, has been tonally inverted to the positive. 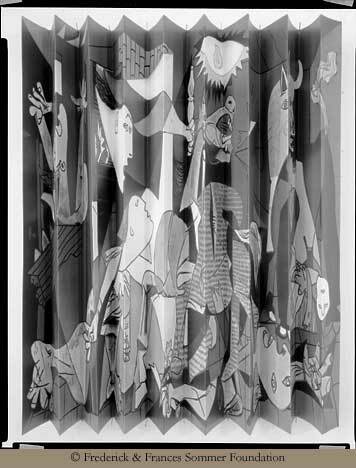 Frederick Sommer kept this negative but explained that unlike the two Dürer variations the folding and compression of this reproduction of Picasso’s famous painting, Guernica, did not add anything to this important image. 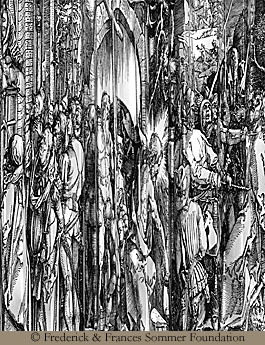 Dürer Variation, 1966 (vertical), shown at left. A PBS webpage provides more about Guernica.